A number of streamed channel portals have changed frequency on Freeview, in a move that moves almost all streaming services to one place. 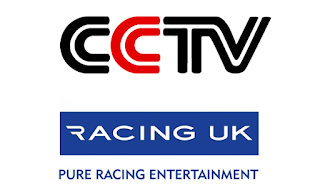 CCTV (226), Racing UK (231) and Sonlife (239) have moved from their previous home on Arqiva's B multiplex to SDN, meaning some users may need to retune to continue watching the channels, although they retain their channel numbers following the change. CCTV carries three channels from China: the international English-language news channel CCTV News, CCTV9 Documentary and CCTV4. Racing UK is a subscription service with horse racing coverage. Sonlife is a religious service. Streamed channels are available via compatible connected Freeview devices. The portal to access the services are transmitted over the air, with the actual stream broadcast via broadband internet to compatible devices. This enables broadcasters cheaper access to Freeview, as very little broadcast bandwidth is required. Following the changes, old versions of the channels move to 787-789 and will disappear in a few weeks. All streamed channels except Inspiration TV (256) and Planet Knowledge (245) are now broadcast via the SDN multiplex frequency on Freeview. The exceptions to the rule are broadcast on Arqiva's COM7 multiplex, with limited UK coverage and not visible on Freeview SD devices.